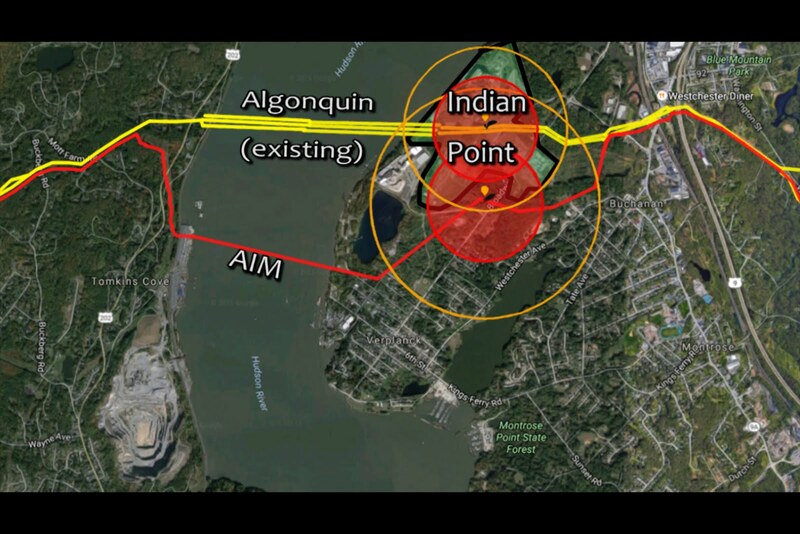 BillHustonBlog: New Graphics about AIM, Indian Point, PIR and INCREASED RISK of failure near compressor stations. 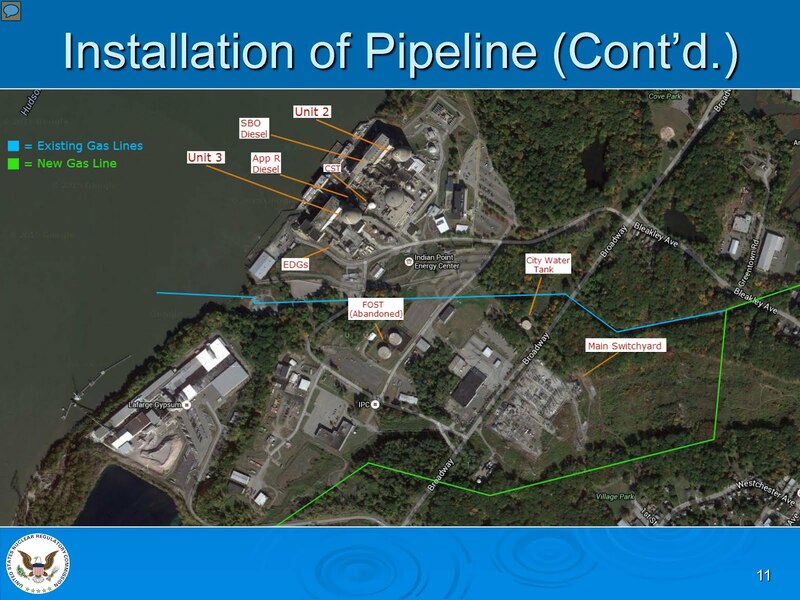 New Graphics about AIM, Indian Point, PIR and INCREASED RISK of failure near compressor stations. This email is OK for public distribution. No need to ask, just share it. The data I need are, Diameter, MAOP, and some evidence, a PAR, CAO, aerial photos, news accounts, etc. where I can get an idea the extent of the impacts. Two things to note. 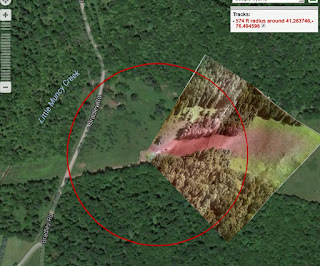 EVEN WHEN THERE IS NO FIRE, this accident still had impacts at 733'ft, well outside the predicted PIR of 574 ft. (24" @ 1200 MAOP). Considering only those accidents where were spontaneous failures (discarding Cleburne, as it was caused by a strike with drilling equipment): I am left with 7. 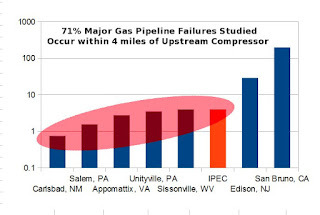 Of these, 5 (71%) occurred within 4 miles of the nearest upstream compressor. I have not seen this metric discussed on this list as indicating elevated risk. Here is a graphic. Note the Y-axis is a log scale, so each division represents a 10x jump. 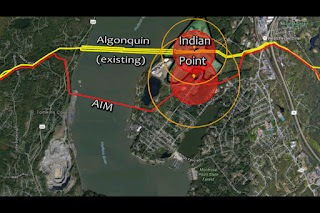 Note also there there are EXISTING aging gas lines which run through Indian Point which are both 50+ years old. 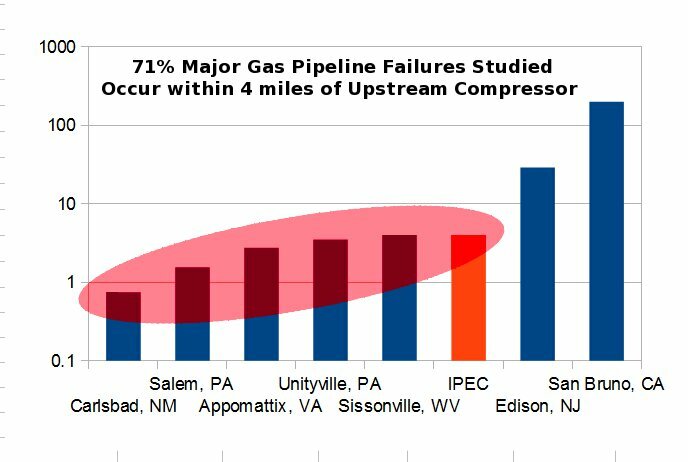 Spectra Energy has failed several attempts at the HDD pull of the big new 42"in under the Hudson, so they want to test the rest of the new pipeline by pushing 25% more gas through the existing rusty lines. Yes, and without increasing MAOP! (Nice magic trick). The RED is the circle where I expect all Major Impacts to occur within. scorched earth, death or severe injuries. The ORANGE circles are what I call the Minor Impact Radius, which is where I would expect to find all minor impacts, like melted siding or other structural damage which could result in insurance claim. All of this is based on historical data. 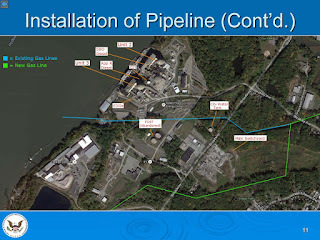 Notice that BOTH THE OLD AND THE NEW pipelines have their MAJOR IMPACT CIRCLES intersecting with the Indian Point Facility with the old pipelines being WORSE (covering a larger area including both reactors, control room, etc). From a Risk Management perspective, this is REALLY REALLY STUPID. a "Standing Rock" type response here in NY to this INSANITY. this for nearly 3 weeks.